Welcome, Foreign Visitorsl! 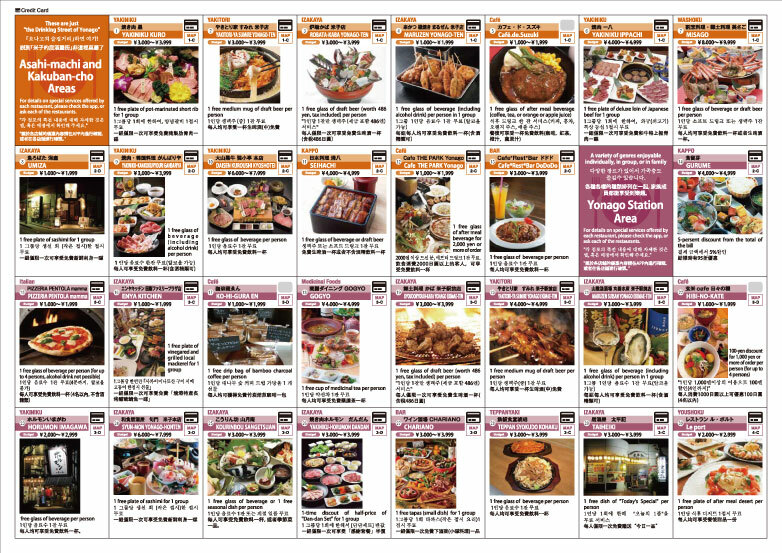 Restaurants at Reasonable Prices for Gourmets. 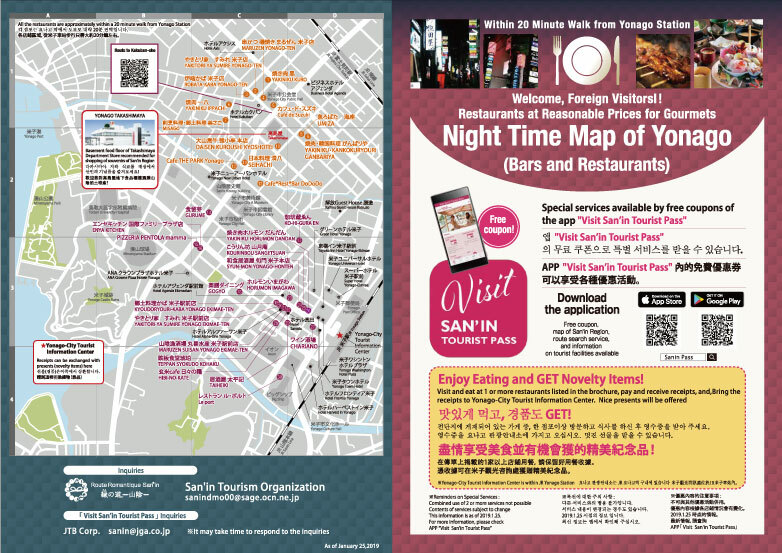 Special services available by free coupons of the app “Visit San’in Tourist Pass” All the restaurants are approximately within a 20 minute walk from Yonago Station. Contents of services subject to change.